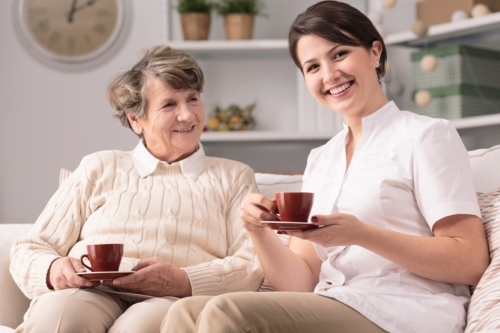 Headquartered in Akron, Ohio, AVID Healthcare, LLC is a committed provider of nursing and home health aide care. With our services, we provide our clients with the opportunity to recover, heal, and age in the place where they feel most comfortable – their own home. AVID Healthcare, LLC selectively places highly trained personnel in our patient’s home. Our staff is committed to providing the highest level of quality care. Our employees are caring, courteous, committed, and eager to help. They have also undergone a thorough screening and hiring process wherein all of their credentials, identities, and licenses are carefully verified. We have been in business since 2010, and since our inception, we have always been dedicated to delivering the quality care. We always put our patients first and we do our utmost best to meet each patient’s needs and requirements. We primarily serve elderly and developmentally disabled (DD) clients, however, we do still provide care to both adults and children with a variety of needs. We also have a strict No Discrimination Policy and we provide our services regardless of a client’s age, disability, marital status, gender, sexual orientation, color, nationality, race, creed, or religion. Currently, we offer our services in Summit, Stark, Portage, and Cuyahoga Counties. We are willing and able to provide quality care to you and your loved ones. To learn more about AVID Healthcare, LLC, you may contact us at 330-818-2979 to speak with one of our representatives.